It was late August when I learned I'm travelling* to the Netherlands to find a team of people with similar goals in Amsterdam. Our wish was to find somebody we could join forces with in helping women to get excited about technology and enter the IT scene. Setting a date for September 28 with someone named miss van Delft representing ChurniChoupaal counted as the end of my search for finding a contact. The Internet makes the world so small... Little did I know that I'm going to meet the the coolest red-head of Amsterdam - Chelsey! Chelsey van Delft is the member of ChurniChoupaal, an international non-profit organisation whose mission is to encourage female to shift their careers to IT. The organisation was founded in August 2010 by Iffat Rose Gill. Since 2015, Chelsey has been actively working towards achieving their goals by focusing on empowering women through ICT (Information and Communications Technology). Based in Amsterdam, they are a small team of 10 and have a small office space at a co-working space on Bos en Lommerplein street. Recent changes in the board made their members more active and now everybody has a unique role, meaning that everyone has a certain task they're responsible for. For example, the Head of External Relations is responsible for finding sponsors, the CCO organises bootcamps, etc. This way, the cooperation between volunteers is much more transparent and effective. 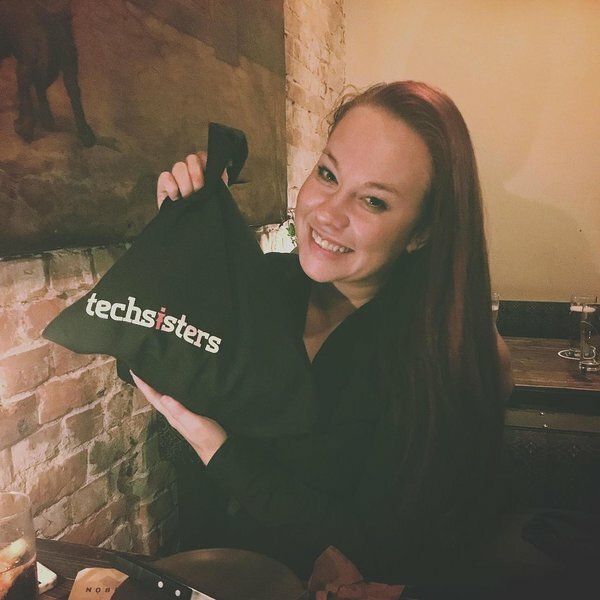 Chelsey is specifically involved with ChurniChoupaal's first ever project, now the leading project Code to Change Program, which basically gives women looking for new challenges a kickstart to pursuit their personal growth and professional change. The founder launched it to bridge the gender gap in the tech industry, and that coincides with our goals one hundred percent. All in all, we are looking forward to finding more possibilities to continue supporting each other from Tallinn all the way to Amsterdam, and to help people find the courage to take a 180 and make one's way in IT. *A big thanks to Kadi Ingrid Lilles & Startup Estonia and KredEx for giving us the opportunity and making this adventure possible! You're the coolest!